Your wedding reception at La Abode would be an event that you would cherish all your life. This is where memories are created.Your Birthday Party would be a celebration for all your friends and family.Your Conference would be an event of comfort. This all is possible at La Abode Banquet Hall. Sanskriti is the Banquet Hall that defines what you are. We believe that every man is made from the roots and believes in it complete. At Sanskriti we make you feel the same, here you make memories that is totally your and would be forever. 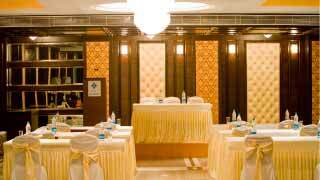 The Banquet hall reflects a fine blend of aesthetics and flexibility. The halls have a large capacity for your guest. Every minute detail and preparation are taken care here. The lighting is enabled as per your suiting and seating has been given detailed attention. 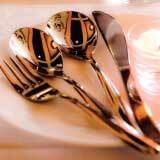 We provide a exquisite service and a menu that offers the choicest cuisines. So whether it's a seminar, conference or a party you couldn't do better than be at the La Abode Banquet Hall.